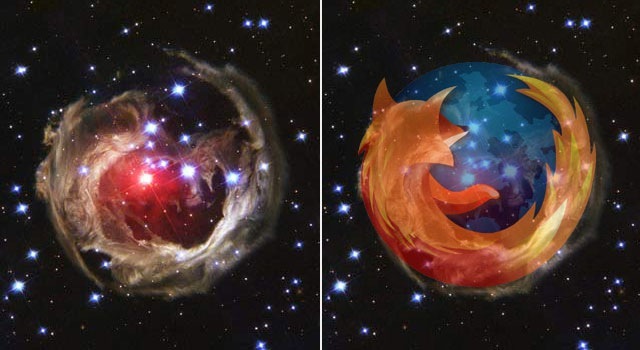 Here’s a tool Firefox3 ,that was launched on Tuesday June 17, should help you check it out more easily. Why’s that you ask. Well, its a speedy animal with one-click bookmarking with a great zoom in and out facility which is what you want from your internet browser but that’s not all. What else would you put on your wish list? I certainly would like help to revisit sites when I have forgotten the address. The ‘Awesome Bar’ helps you do just that by matching the words in your search entry with words from the websites that you have visited before. I guess the usefulness of this facility will improve over time as will its accuracy when a better picture is built of where you go to check it out! Checking it out: isn’t that what we do when learning? I have been trying to pluck up the courage to start a blog for some while now and have been chewing over a few ideas. These include some of the ruminations over the writing of my book on Digital Discourse, which I am sure will appear in later posts, but in the end I decided to go for the big challenge of crystal ball gazing! This piece was prompted after presenting a paper for the Grand Challenges for Computer Research in the Learning for Life strand. Presenters were asked to think about how we could exploit technology to sustain lifelong learning and how we can support learners changing needs in the future. Quite a task, don’t you think? So I got out my crystal ball and started to consider about the sorts of issues that I am dealing with in e-assessment and then thought it was better to move onto the social networking tools and elearning communication systems today that we can learn from to meet the challenges of tomorrow? I would suggest that one of the common activities is that of ‘checking out stuff’. So what do I mean by that? If folk continue to ‘check out’ they do so because there is a response and new tools keep appearing in places like Facebook for friends and colleagues to record their opinions about a number of phenomena which are open to others. Technology can play an essential role here in providing the feedback which facilitates the exploration of new roles in this new ‘check it out’ arena. In fact electronic feedback systems that support student interactivity have proved to be successful in providing audio feedback that explains the reasoning behind correct and incorrect choices for answers to a set of ‘check it out’ questions. I have found this strategy to be very useful in the Open University’s Science Foundation Course (S103) where all this information would not be provided in a face to face tutorials. This is because tutors would only have time to explain the correct solution to a problem and go through the workings of that solution but would not necessarily describe why all the invalid incorrect answers were wrong. New feedback systems are therefore required to assist learners to make choices about their own futures and how these sit within a challenging and changing economy. The current implementation of Open Comment includes two classifiers, one based on regular expressions (text patterns) and the other using support vector machines, a classifier based on machine learning technology. This is an approach which is proving successful and offers one path of investigation for a ‘lifelong learning check it out’ system. But what do you think? Where can we go with this? Perhaps the ideal would be when the student uses the system has confidence in it and believes the feedback will help them progress and do better!